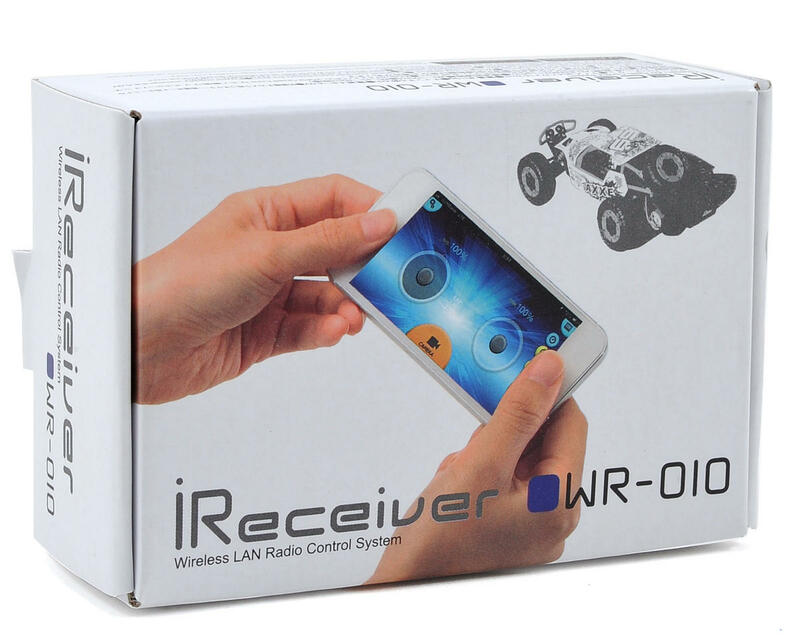 This is the Kyosho WR-010 iReceiver Wireless LAN Radio Control System. 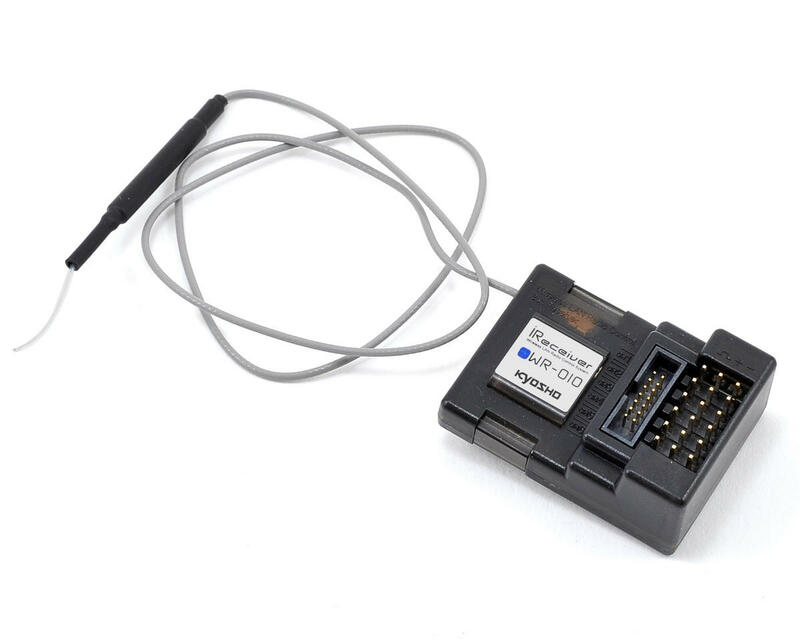 This 6-channel Wi-Fi control system allows you to control your R/C models through your smart phone, tablet or PDA! Simply replace your models receiver with the iReceiver and enjoy this revolution in R/C model control. The touch screen on your device, display's control stick and lever icons that deliver the same control response as a standard transmitter. Plus, its incredibly small and weighs just 10g, making it easy to mount in a variety of applications. Free apps are available for various R/C models such as cars, boats, airplanes, helicopters and tracked vehicles. Using the Wi-Fi connection on your device, this system delivers stable control through wireless LAN. When you combine this with the Kyosho WC-010 iReceiver Digital Video Camera (KYO82261), you can capture a real time "first person view" on your smartphone. This creates the feeling that you are actually riding inside your model! While looking at your screen, you can drive your model into the next room to see what’s happening! Additionally, the data can even be recorded and saved on your smartphone. A variety of programmable settings are available including slowing the speed down for easier control. The iReceiver adds a unique dimension to the hobby and the possibilities are almost endless. iReceiver allows control through smartphone, tablet or PDA using Wi-Fi. Replaces your standard R/C receiver. Use the optional camera unit (KYO82261) to watch the action on your smartphone while controlling the model. Transmits video data that can be recorded on your smartphone. **Depending on network performance or device version, the functionality, response speed and image quality can vary. iPhone: Go to the AppStore and download the iReceiver control application (kyosho ireceiver, kyosho). Android: Go to GooglePlay and download the iReceiver control application (kyosho ireceiver, kyohso).